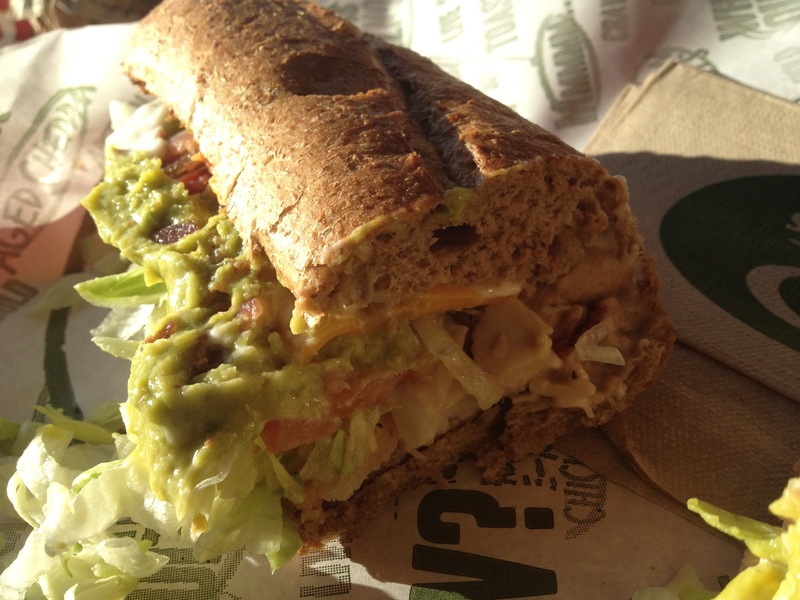 While California has long been typecasted as a different world, any usage of the state in the name of a sandwich almost always equates to guacamole, or as Subway calls it: avocado. 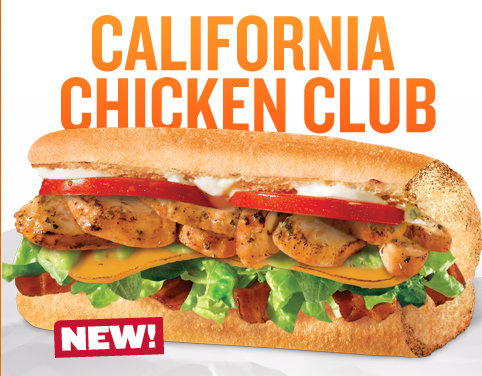 So whenever I was perusing the new Quiznos menu and learned that the California Chicken Club was considered new, I had to get my hands on this So-Cal sub. While Subway and Quiznos will always be compared as long as they are both shelling out sandwiches, I can confirm with my valued opinion, that Quiznos’ chicken offerings have always been a cut above. 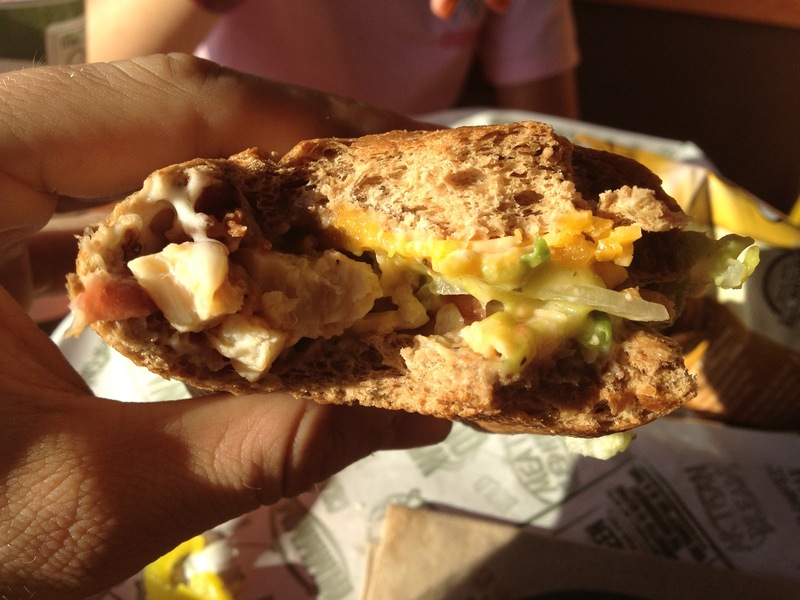 While the Q’s chicken is thick cut and tasty, Subway’s has always been sloppy and chewy. The Cal Chicken Club from Quizdog’s encompasses this chicken which now supposedly “All Natural” enhanced, bacon, cheddar, tomatoes, lettuce, guacamole, and mayo. Typically whenever you order anything with guacamole, whether it’s an add on or part of the original makeup you get the big, bad shaft. We’re talking a dab at best. 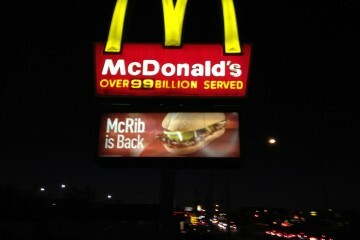 But whether or not this particular franchise owner never beat it into his staff that guacamole was more sacred than beer at a hog roast or whether these particular employee’s reached the stage 3 “don’t give two craps about my boss’ profits” level of fast food employee status, they smothered my sandwich with enough guacamole to choke a yak. While this is something I’d typically never dare to complain about, coupled with the advent of mayo, I could have been swimming in this sub. 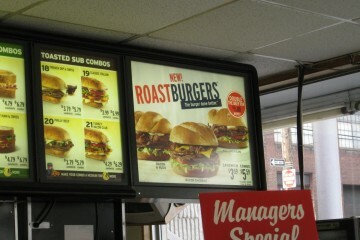 Biting down into the sub, I was really impressed with the fresh flavors. The chicken was as tasty as ever, the guacamole abundant and creamy, the cheddar and bacon enhanced the makeup just like the bad boy and heart throb of a boy band would, with the remaining toppings rounding out everything very smoothly. 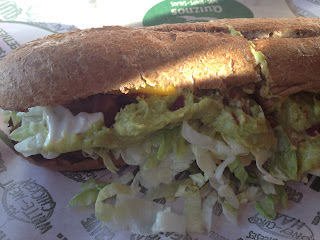 I really felt like I was eating a premium sub while engulfing my face which is something I rarely feel at Subway. I really enjoyed this sub and will give it 3.5 stars.